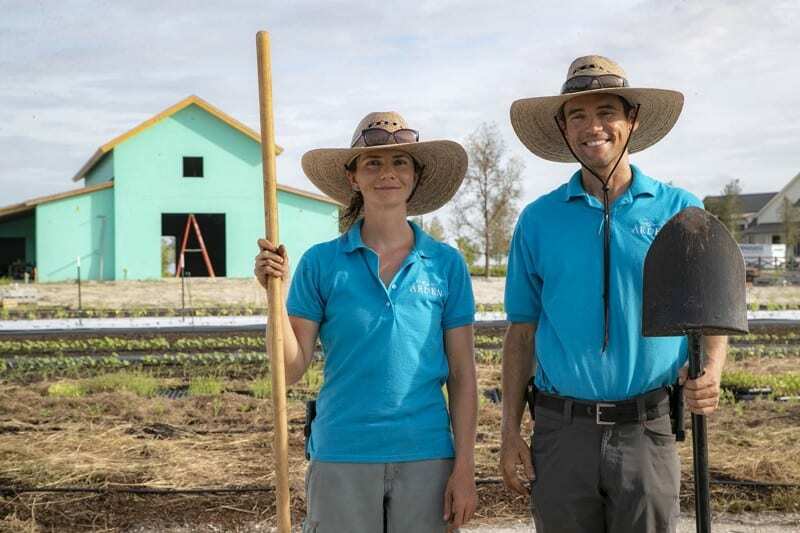 LOXAHATCHEE — Just in time for Thanksgiving, the five-acre farm at the new Arden community west of Lion Country Safari will sprout eggplant, peppers, okra and other fresh produce. Farm directors Carmen Franz and Tripp Eldridge expect a November harvest of the crops they planted last month, which also include herbs, flowers and fruit trees. Those crops will end up on Arden residents’ dinner tables. Arden, a neighborhood planned by Freehold Communities of Boston, is one of more than 100 throughout the United States — and the only one in South Florida — called an “agrihood,” or agricultural neighborhood. Developed to promote healthy living and community engagement, Arden eventually will include 2,000 homes that will back up to a community green space, including parks, playfields, greenways, nature trails or lakes. Nearly 200 of the homes have been sold, an Arden spokesperson said, and new residents are moving in as their homes are being completed. Franz said those residents are eager to participate in the farming process as well as a variety of garden-related events she and Eldridge host. Those events will expand to include workshops on organic gardening and flower arranging, healthy cooking classes and farmers markets once the community’s 4,000-square-foot event barn is complete, most likely at the end of the year. 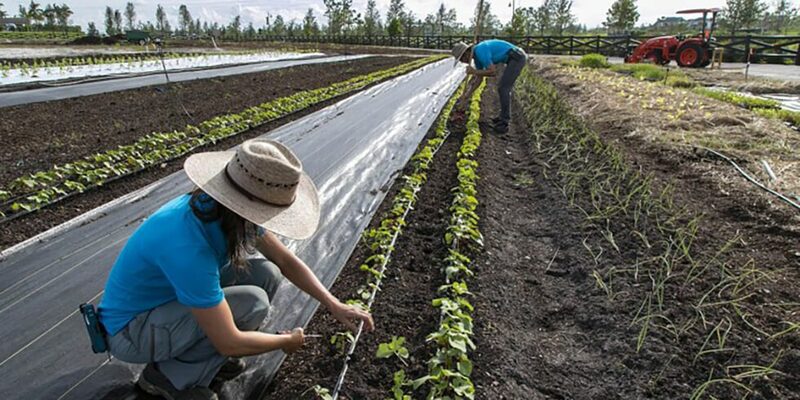 The farm recently earned the distinction of Certified Naturally Grown, meaning that it doesn’t use any synthetic fertilizers, pesticides, herbicides, fungicides or genetically modified seeds. Arden Farm is one of 20 Certified Naturally Grown farms in Florida and among nearly 800 throughout the United States and Canada. 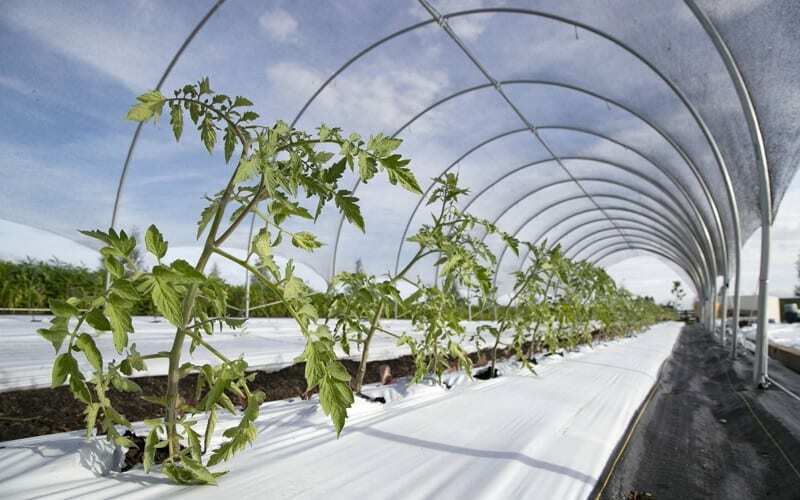 The CNG program was designed in 2002 to recognize small-scale farmers who practice sustainable agriculture to produce food for their local communities.